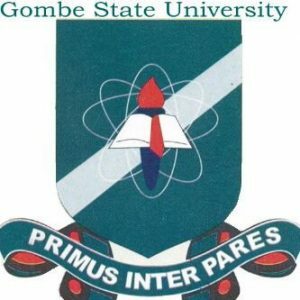 Gombe State University, GSU Re-Scheduled Matriculation Ceremony Dates, Time and Venue for Newly Admitted / Fresh Undergraduate and Postgraduate Students for 2018/2019 Academic Session. This is to announce that the Gombe State University, GSU Matriculation Ceremony of all the Forth Undergraduate and Postgraduate Students for 2018/2019 Academic Session is re-scheduled to hold as follows. All Fresh Undergraduate and Postgraduate Students MUST ATTEND the Matriculation Ceremony. However. Students who were previously matriculated by Gombe State University are exempted from participation. All Matriculating Students should collect the Academic Robe Irom their respective Faculty Officers and the Secretary of the School of Postgraduate Studies from Wednesday. 3rd April. 2019 on payment of One Thousand Nana only (1000,000.00) at the Bursary Department. We wish all the Matriculating Students a successful Matriculation Ceremony.